The Northern Areas of Pakistan offer some of the most spectacular scenic views one can ever see anywhere in the world. The roads passing through rocky mountains with jagged edges jutting out and boulders falling down at places make the journey both dangerous, yet adventurous and memorable. The due to frequent rocks falling, the roads at places have turned into dirt tracks, making it difficult to ride a jeep or a car. But what about motor cycling or even mere cycling along these treacherous roads? 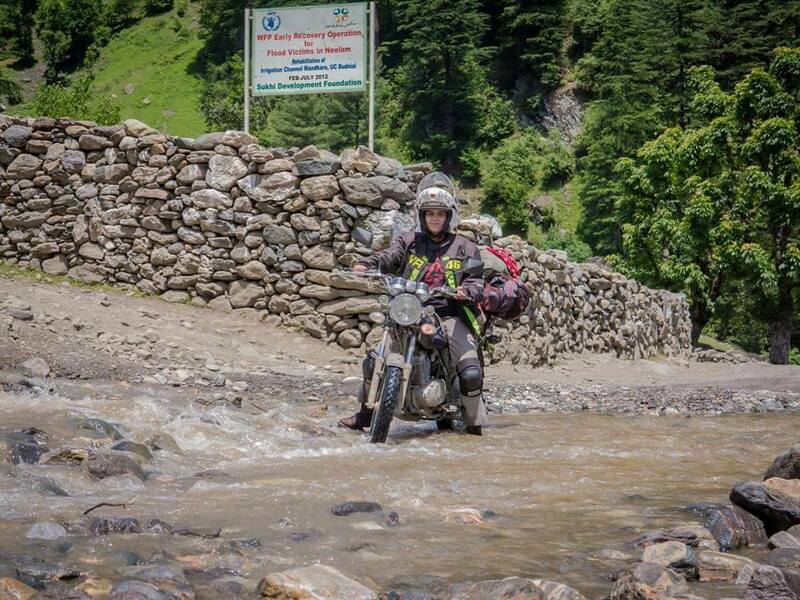 Well many adventure seekers both local and abroad prefer heavy motor bikes as these offer flexibility in negotiating the fallen debris and boulders. awhile ago, I shared a post about 'Mountain biking on top of the world' wherein I had mentioned about adventure seekers riding atop the world on such treks on heavy mountain bikes.